that these estimates probably fall short of the true prevalence (2). Over one million people each year undergo evaluation and treatment for recurrent syncope, and at the same time many others who have suffered from syncope do not seek out medical attention. Each year in the United States alone, syncope accounts for 6% of all hospital admissions and 3-5% of all emergency room visits (2,3). Syncope provokes an extreme sense of anxiety among both physicians and patients for, as Hippocrates noted, "those who suffer from recurrent fainting often die suddenly" (4). 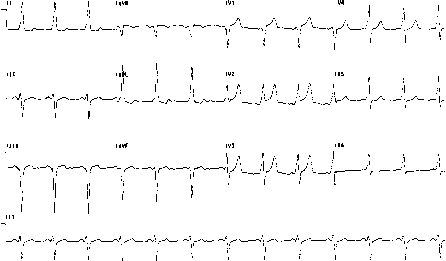 In a number of cardiovascular conditions syncope may be the only warning that occurs before an episode of sudden death. Even if the case of syncope is benign, sudden unpredictable episodes of loss of consciousness may result in serious injury (2). Syncope is more common in the elderly (especially those over 75 yr of age), and the elderly now constitute an ever-increasing proportion of the world's population (5). Falls are now the fourth leading cause of death in the elderly, and at least half of these are believed to occur because of syncope (6). In addition, recurrent syncope places a tremendous psychological burden on both patients and their families, and often significantly limits their social, educational, and employment opportunities (7). Indeed, recurrent syncope can produce a degree of functional impairment similar to chronic debilitating diseases such as rheumatoid arthritis (8). The cost of evaluating and treating syncope is quite high, especially if done in a haphazard and undirected fashion. A recent study showed that the average undirected syncope evaluation presently used by many physicians costs up to $16,000 per patient (9). This would place the cost of syncope evaluation in the United States alone at over one billion dollars per year (2). However, this figure does not take into account the costs associated with lost time from work by both patients and family members and the resultant loss in productivity to the economy.